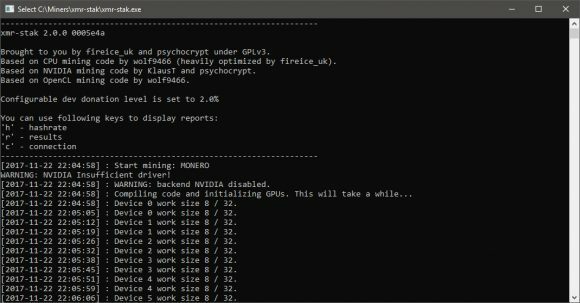 The latest version of the XMR-stak miner (source) now comes in an all-in-one solution that can work on both CPU as well as GPU, together or separately and supports both AMD and Nvidia GPUs. 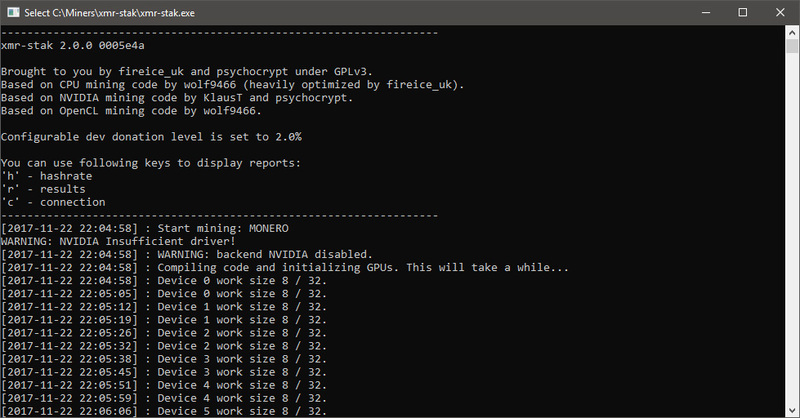 XMR-stak supports tthe Cryptonight for Monero (XMR) and Cryptonight-light for AEON as algorithms and offers some of the best hashrates in terms of performance competing with Cast-XMR for the best AMD hashrate, especially on AMD RX VEGA GPUs. Do note that by default the developer fee for this miner is set to 2%, though the you can change that in the source code and recompile with different percentage should you wish to do so. There are binaries available for Linux and Windows ready for download and of course you will need to run the miner and configure depending on your mining hardware for best performance (there is autoconfig, but not the best performance). anyone knows how to config it for make him only gpu mine, keeping the cpu cool and rested? Just add the option --noCPU when running the miner executable file. is there binaries for Linux?only win64 on github….